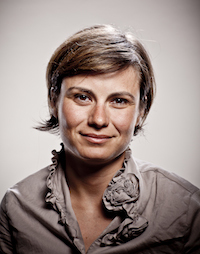 Dr. Ruxandra Stoicescu is a researcher specialised in international affairs and political science, also trained as a journalist and radio producer. Through her activities and experience she connects the worlds of academic research/international policy, and communication, being sensitive to the needs of the former and the techniques and constraints of the latter. Reto Steffen is a classical trained singer and music theorist, IT expert, cameraman and film editor. The combination of musical training and technical skill brings aesthetic sensibility to his productions, as well as an attention to detail that is essential in both video and audio productions. Helena Ziherl is a programme manager for academic and policy research projects, creative writer, interviewer and voice – with a love for exploring and travelling. You can hear her voice on the Small Arms Survey podcast series.